This is probably the most difficult achievement in the game, and few will manage to earn it. You have to finish in the top 10 globally on a Jam track at the end of the round to unlock this one. Good luck! 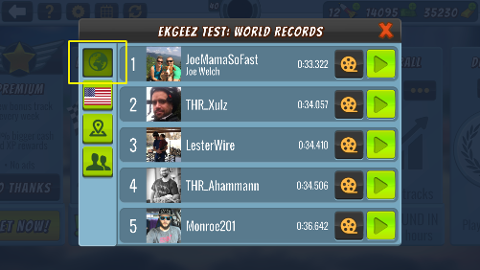 To find your global position on a Jam track, simply open the leaderboard for the track and tap the Globe icon on the left. Finish in the top 10 globally on a Jam track and you truly are a Hall of Famer.